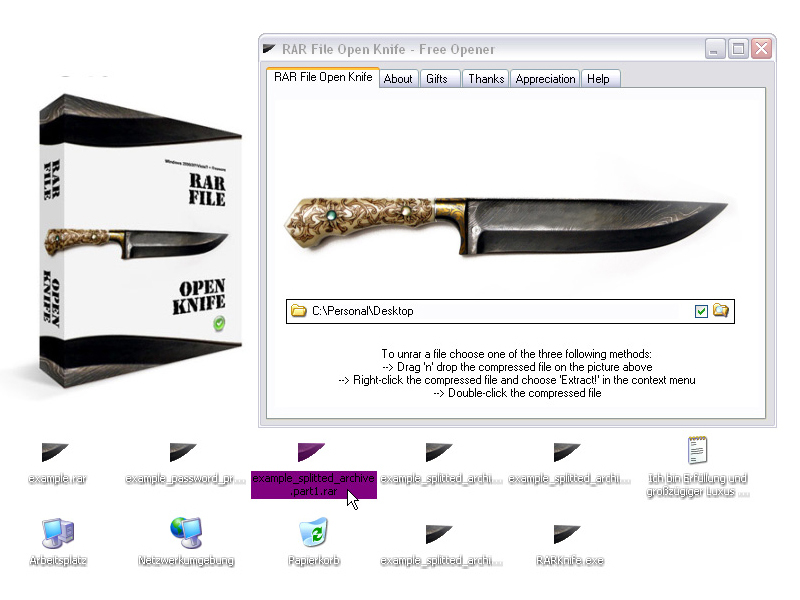 RAR File Open Knife is not a Swiss Army Knife. It is rather like a precious steak knife: very specialised and efficient. The tool only opens RAR archives. As fast as possible. One can open a RAR file by drag `n` drop, double click or shell integrated context menu. To speed the process up, RAR File Open Knife has the option to define a default output folder and a default password. The program comes with short instructions in over 50 languages, the engine is highly optimized. In performance tests RAR File Open Knife was 2-11% faster than 7-Zip etc.